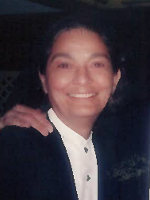 ALBANY – Mary Contompasis Albertin, born in Albany September 9, 1949, died Saturday, October 27,2018. A lifelong resident of Albany, Mary (or Mariah as she preferred to a few close friends) was a woman of passion, intelligence and kindness. She was a renaissance person who cannot begin to be captured in this short piece. She never stopped learning and growing throughout her life. With her sister Margaret she built and operated a jewelry store where everything was their own creation and, at a time, when few women operated businesses. She pursued her passion for archaeology attaining a double major bachelor’s degree in the subject at 50. She worked for many years in the field at Peeble’s Island Historic Preservation and even traveled to Egypt. She also had a passion for estate and garage sales as compliments to her passion for archaeology and history. Wherever Mary spent her time she left with lifelong friends. Her caring went well beyond the norm whether helping nurture nephews, providing support for her extended family, creating a safe home for a struggling friend with young children or providing a home and support for aunts and parents in their later years. She always found time for all around her, giving whatever was needed, whenever, and without regard to the cost to her. Typical of her was to leave extravagant tips when it was clear a person or worker needed a little help. She touched so many people so many times. She will be missed greatly by many, but none more than her husband who forever learned what kindness and love meant. A special thanks to her nephew Samson, who throughout her long health ordeal, made a special effort to to be there in so many little ways but especially her difficult last two weeks. Survivors include her devoted husband, Richard. Sisters Margaret Contompasis, Penelope Contompasis, and Joan Pomellitto (husband Frank) and brothers James, Peter and Harry. Nephews Alex, Max, Samson, Peter Crandall and Matthew Remsbecher and niece Leanne. Calling hours will he held in the Hans Funeral Home, 1088 Western Ave., Albany, Wednesday from 4-7 p.m. Relatives and friends are invited. A private graveside service will be held in the spring. To leave a message of condolence for the family, please visit www.HansFuneralHome.com . A note of condolences to Turk and all of Mary’s family. Mary was such a joy to be around and her infectious smile and laughter will be missed. You all will remain in my thoughts and prayers. May memories of your time together bring you comfort. My dear dear friend Mary.. how fortunate I am that you Were.. that you ARE in my life. And you’re going to be with me forever! A day won’t go by that I won’t think of you and smile or laugh out loud!! You’re finally at peace old friend and I hope you’ve found Eileen and Nancy and you’re dancing in the streets!! Even a word man is at a loss. If there’s justice and mercy, you’ll be joining the special friends who preceded you. There aren’t any word to express how pained Jim and I are for you all.. Loosing a sister or an aunt and Turk your life partner and your best friend. You KNOW how we feel. Mary’s going to be with you forever. We guarantee that! Your guardian Angel…..
Jim and I send you all our deepest sympathy. And Turk…we adore you. You take your time and allow yourself to heal at your pace. We’re a phone call away..
My heart so hurts for you Richard, and for the entire family. Mary was such a kind, fun and centered soul. Someone to emulate and keep her spirit alive. Sometimes Angels walk among us. Mariah left that impression when she came to visit. Readers Digest had a section called, “The most unforgettable characters I’ve known.” Mariah is the personification of that category. Grace is beauty of form, Mariah has amazing grace! Her beauty, her kindness, her great enthusiasm, her many skills, her giggles. Mariah’s legacy is truly remarkable. Sail on Bright Spirit ! Sometime it feels like angels walk with us, Mariah gave that impression when he came to visit. Grace is beauty of form, Mariah has amazing grace, her beauty, her kindness, her great enthusiasm, her many skills, her giggles. My memories of Mary are of long ago…..her in her teens young beautiful and also mysterious in an nice way, coming from her home and hanging out in the school 27 park off Western Ave.
She was always uplifting your soul making you laugh and listening to all. I’m stunned and so deeply saddened to learn of Mary’s passing. Prayerful thoughts for her and her loving family. I am so terribly, terribly sorry to hear of Mary’s passing. She was a very special person and will be deeply missed. My condolences on Mary’s passing. However, I often wondered how the earth managed to hold on to her as long as it did, a spirit so powerful. I can’t share the complete story of the first time I met her, in 1967 or so. I can say that it involved a pith helmet, a bicycle, and the loooong expanse of Madison Ave. in Albany! We lost touch, as very old friends will do, but I have and will never forget my good friend Mary. She’s with Keith and Eddie now, so expect brighter suns ahead. I am so sad, one of my oldest and dearest friends departed. Lifting you up in light and love Mary. May your memories of Mary be bathed in sunshine. She was a ball of fire that left a big trail in all the lives she touched. In kindergarten and became life long friends. I know she had my best interest at heart. Mary was a dear friend and will miss her greatly. My heart goes out to Turk and her family. Very sorry to learn of Mary’s passing, but wonderful to learn about her life. She fulfilled the promise she showed at Milne. My condolences to all her family. What a special person, larger than life. I smile when I think of her room full of hats from so many years ago, and her way of making everything around her beautiful. Condolences to her family and friends. So sorry to hear about Mary’s passing. I have many fond memories of the whole family. I especially treasure the earrings that Mary and Margaret made for me for my 50th birthday. I love of all you tall people and miss the family very much. Please accept my love and condolences at this time. Turk, Our heartfelt condolence to you and family. We know how much she meant to you and appreciate your strong devotion to her struggles. We wish we could be there for you. We will be in touch when we return. God bless. Where do i start, Mary and I met in kindergarten and became lifelong friends. Mary was as sweet as she was honest, no matter what she said to me i new she had my best interest at heart. Mary was a dear friend and i will miss her greatly. My prayers are with Turk and her family. On behalf of the staff at the State Historic Preservation Office, our deepest condolences to Mary’s family and friends. She is fondly remembered here. Our condolences — those in our family who knew Mary knew her as a free spirit with a beautiful, kind, funny and caring soul. May God bestow all of His Blessings upon Mary and her Family. The Herrick Clan of Terrace Ave.
My sincere condolences to Turk and the Contompasis family. I am so very sorry for your loss and for this world’s loss of such a free and caring spirit. Mary was a great friend to me and to many and she will be sorely missed. I still have the note she wrote me on June 14, 1967 for graduation. She was lamenting the fact that “We only devoted four years to upset their authority.” I’ll toast her tonight with a chorus of our high school theme song “We Are the Milne Hoods” and I’ll say to her what she said to me in closing her note: Via con Dios. Mary, You made us laugh you made us cry but above all else you gave us love and memories that will never die. Fly with the angels my friend. Turk, Physics teaches us that energy never ceases to exist it just takes on another form. And she had so much brilliant energy. She loved you dearly and will always be with you, to help you through bad times and good. Love you so please stay in touch and I will do the same. Like so many others, I am heartbroken to hear about Mary’s passing. … She was truly one-of-a-kind … & she was of a kind that so rarely graces this Earth. … She will remain in my thoughts & memories, as she has since the time I first knew her. All I can offer now are my most profound condolences to her family and loved ones. Ron G let me know today, and I was very sad. I did not know Mary, but my thoughts are with both of you. As a friend, Turk, you have been so generous with me. Selflessly, you always do for others with no expectations of reciprocity. You continue to be an exceptionally fine, learned, humorous, kind friend. I so much appreciate your friendship. I can imagine the same virtues in Mary. If you need help with anything, please please ask. Cut the grass. Help with something at the house. Run an errand. Please please ask. You are such a nice guy; I would do anything for you. To say the least, Mary was a unique presence in my life, just as she was in so many other lives … & just as she was a rare presence on this Earth. As much as I cared about her, in the years we were close friends, I also, and always, knew how much she cared about me … just as she did about others.. … My memories of her, and (more importantly) her influence on me, are very much a part of who I’ve become. She will be profoundly missed by all whose lives she touched.. Though it seems small in light of her passing, my deepest condolences. Turk, thinking of Mary and you together has and will always bring me a big smile. Although I haven’t known you as a couple, I’ve known that you’ve been a fantastic pairing. Meanwhile, I’m forever grateful for your mentoring me as a freshman at U Buffalo. May peace be with you! Mary graduated from Milne with my sister Paula, was a much loved friend of my sister Anny, and was so very kind to Anny and Paula’s little sister(me). I have always thought Mary was one of the coolest women in the world. Now I think she is the coolest, kindest, funniest, most giving person to go on to the next plane. She was always kind.I feel very fortunate to have shared (even a little)in her light. My deepest sympathies to you Turk, Margaret, Penny and the rest of the family. Turk, I’ve been out of touch with your corner of the world lately so to hear of your loss makes me so sad. I didn’t know Mary well but from the little time I did spend I knew she was a special person. From myself and I’m sure others from DOT I offer my deepest condolences. Please take care Turk. The Anton family is extending our deepest condolences to Richard and the Contompasis family. We hope the great memories that were made will always bring a warm smile to those left behind. God rest her soul. Mike, Kerry, Evangelos, Andy and Judi Anton. My sincere condolences to the Contompasis family. Mary was a classmate and a friend from our days at Milne. We reminisced and laughed at our 50th reunion just a year ago. She always made me smile. I am so sorry for your loss. Turk, I know there are no words that will help right now but know that all of our best vibes are with you. I will always remember her strong spirit and will. Mary made everyone near her a better person. I went to Milne School with Mary and counted her as a friend. I always loved her. She was herself, always her own style, always big hearted and true. She will be sorely missed, they broke the mold. I loved her and just want to extend my deepest condolences. Love to Margaret and Harry and Penny. Please accept my heartfelt condolences . May she rest in a pain free peace. I am saddened to hear of the passing of such a joyful light from our lives. I had not seen Mary in a number of years, but will always remember her smile, her passion …and her wonderful gift of silliness and joy. From the surprise of sharks swimming in flooded archaeology units to crazy hats – she was always able to lift the spirits of those around her and keep us all from getting too serious, while still focusing on things that truly mattered, I pray that she is at peace and those who call her family are comforted knowing that her spirit will now enlighten other realms. Namaste my friend. To Turk and her large wonderful family- I am in shock. I think I am speechless- i just cannot believe that Mary so full of life in every way is not with us. i know how much you loved her and I would like to attend a service to celebrate her incredible life, to console those who loved her, and to share my grief. With love to all of you especially Turk. It’s been a very long time since since Mary, you and I worked at the old Hyatt House hotel. Many fond memories of those days. I would like to send my condolences to you and your family for your loss. Please trust that the memory of Mary’s smile and how the light shined from her eyes will remain bright in your heart every time you think of her. Though the time I knew Mary was brief, and 30 years ago, I’ll never forget her. We were in the same archaeology field school during the summer of 1988. Mary’s sense of humor and big personality kept me laughing at the time and smiling every time I’ve recalled them since. My condolences to her family and all who knew her. My sincere condolences to the Contompasis family. I only knew Mary through my Aunt Jill Smead and Uncle Jonathan, but I remember her fondly. She was such a free spirit and a nice lady. So sorry to hear of her passing. My thoughts and prayers are with you all. No words can express our sadness. No words can express the joy we have experienced in loving friendship with you and Mariah. When our son Kettle passed, Mariah quoted Lao Tsu,” What a caterpillar calls the end, the rest of the world calls a butterfly.” We, too, take solace that they now soar the Elysian Fields. I was a classmate at Milne with Mary. She was a special person & I will always remember her fondly. Mary’s bigheartedness is and always will be the flame I remember – many years since our lives touched, but when we were all young, Mary’s worth was always vivid and admirable, to an almost terrifying degree. Sad news.